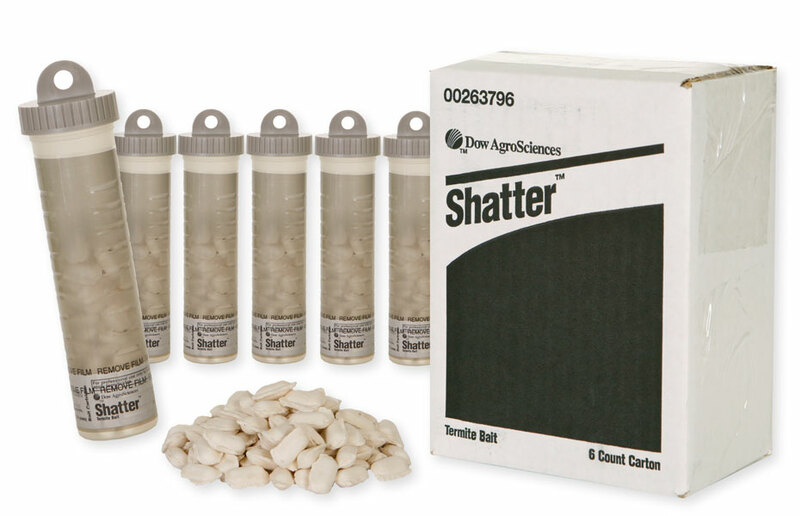 Using Shatter Bait Cartridge (62719) in Sentricon Bait Tubes? I have an existing Sentricon system installed (by a professional pest control company). Yep, annual fee just went up again and the technician is only checking the stations once a year. Can I use the Shutter Termite Bait Cartridges in the existing (green Sentricon) bait tubes? Yes, Shatter is the original Sentricon Bait and contains Hexaflumuron. A lot of companies that install and service Sentricon are now going to a twice a year inspection. I am surprised that they are only checking 1 time a year. And since they only pay Dow $50 a year for your contract, thats a nice 1 time a year commission for whoever the tech is. A Sentricon inspection only takes about 30 minutes unless they inspect inside the home too.